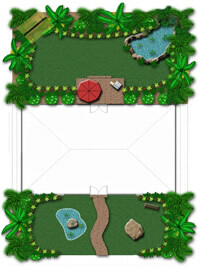 Tropawaii is an indulgent tropical garden plan designed for relaxation. This garden is packed with features that will provide a functional yet professional appearance. Vacations are great, some of the most fantastic vacations you can have are on beautiful tropical Islands. The Sun peeping through the shade of the palm trees as you sit and enjoy your favorite drink under the shade of a thatched swing bench, as the waterfall drowns out thoughts of reality. Indulge yourself with a swim in the rock pool as the birds cheekily sing or sit under the grand umbrella with your guests as you enjoy a mouth watering barbecue. One works hard for their home, so why not enjoy the feelings of being at a favorite location in the comfort of ones very own boudoir? Spectacularly Tropical is Tropawaii's theme. 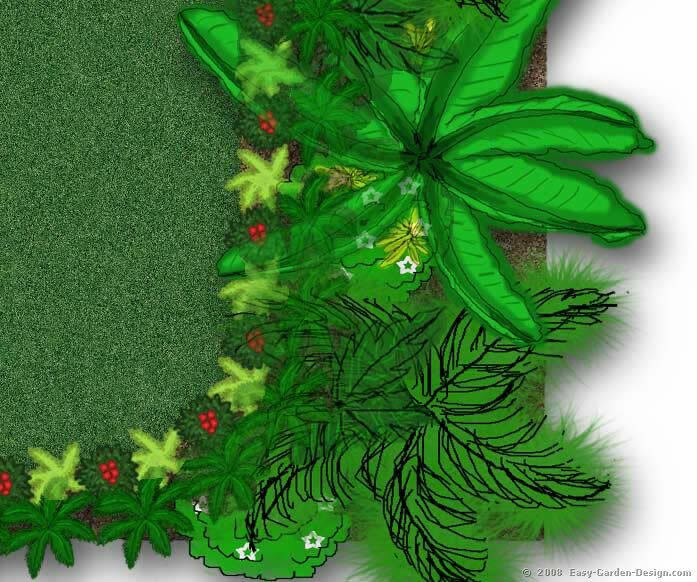 This tropical garden design is shipped on a CD and DVD. The CD which contains a full high resolution garden plan,complete product key and plant list. A description of the garden includes photos and/or artist impressions to help with the landscaping. The bonuses as described below simplify the adaptation of the design to your garden needs and provide information for the correct installation of the tropical garden plan. Garden Customization Instruction Manual This manual provides step by step instructions to assist the reader in customizing the garden design to their specific requirements and home. You are guided through all the essential elements of the design so that the original professional design features will be preserved and transferable to your garden. Garden Installation Instruction Manual This instruction manual explains all the steps required to translate the tropical garden plan into a landscaped garden. Instructions include amongst others, preparation of the soil, garden layout, hard landscaping, planting of trees shrubs and other plants. Special tips and techniques are required to transform a professional garden design into a award winning show garden. These techniques are also provided in this manual. 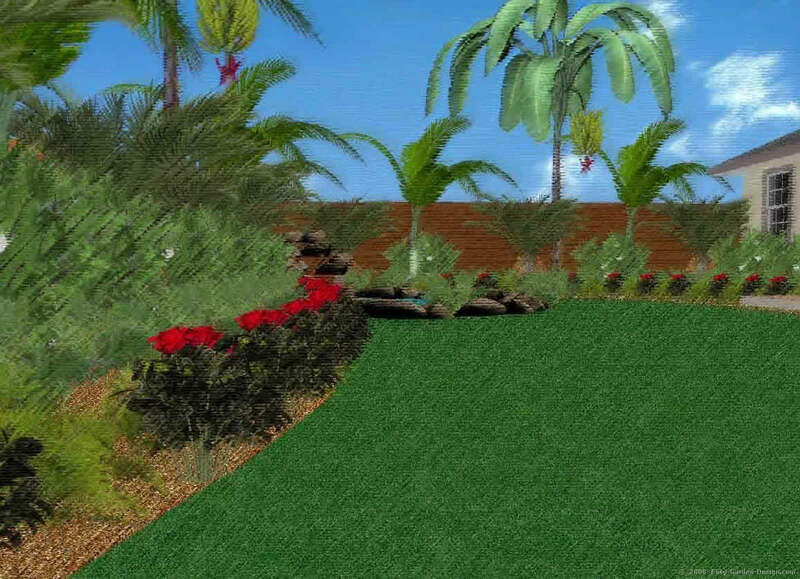 We have taken the utmost care to provide this unique product and are confident that the Tropawaii Tropical Garden Plan will	live up to your expectations. PS: I am absolutely sure that you will not find a better solution to DIY Professional Landscaping anywhere else. I and my design team have spent many hours putting this complete package together and will give you the necessary support to make your garden a success.